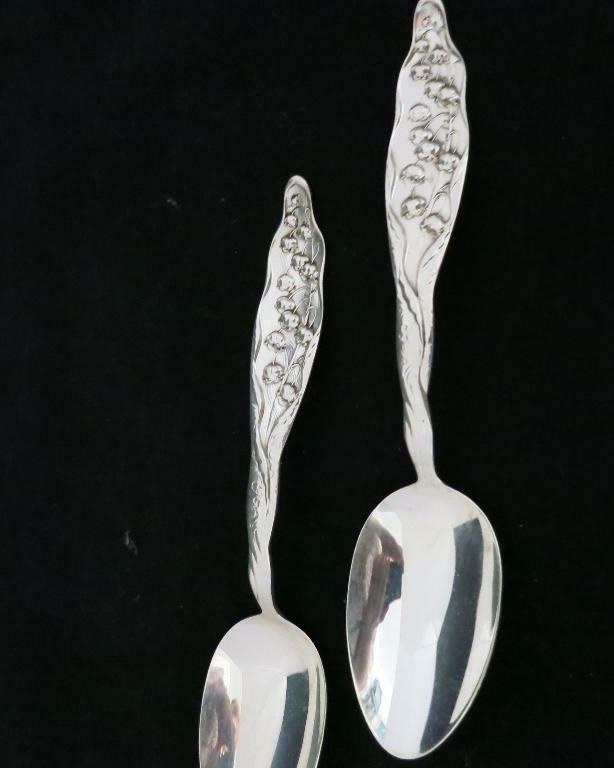 Whiting Lily of the Valley Serving Spoon -- I have two of these lovely Victorian serving spoons. They were made in 1885, and are absolutely beautiful. The measure 9 1/4" long, and are priced individually. 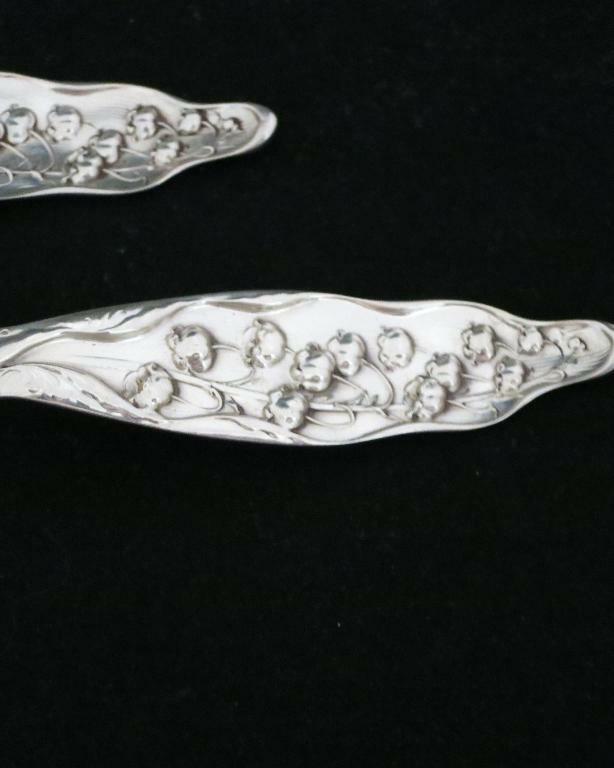 I have two of these lovely Victorian serving spoons. They were made in 1885, and are absolutely beautiful. The measure 9 1/4" long, and are priced individually.